Ferries to Cavo can be booked with Toremar Ferries. See below for a list of timetables, schedules and special offers. 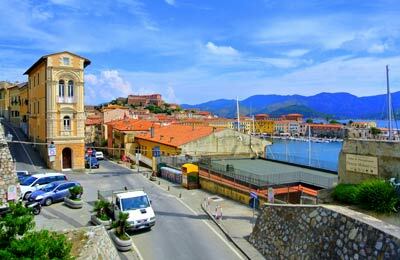 The Toremar Ferries offers ferry crossing from Cavo to Piombino in Italy and to Portoferraio on Elba. On board your ferry you will find bars and other facilities that help you to relax and enjoy your journey. There is also special kids zone. 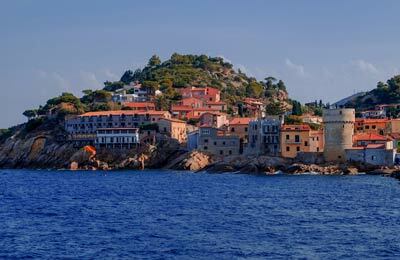 Cavo, on the Isle of Elba, is just a 15 minute ferry journey away from the mainland port of Piombino. There are also ferry services from Cavo to the other port on Elba, Portoferraio. All Cavo ferries can be booked using AFerry. The services at Cavo port are basic, but most of the necessary amenities can be found within the village, a short walk away from the port. Cavo port is well sign-posted and is easily accessible from the main northbound roads on the east side of Elba. If you are in Portoferraio and want to reach Cavo there are domestic ferry services from Toremar.